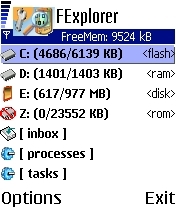 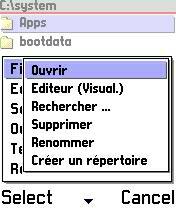 FileExplorer (French version) is a free browser for the Nokia 7650, it allows you to manipulate any files, you can use the cut/copy/paste functions thru the directories, you can also send files via bluetooth or infrared, mms. 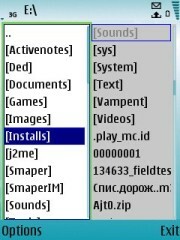 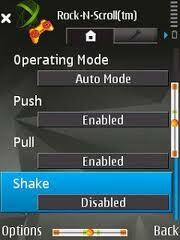 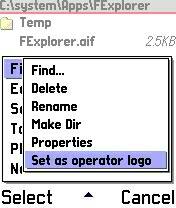 you can open the files directly, Other usefull functions are also available such as making or removing directories, keep the light always on, perform screenshot, restart the phone, find the files, view IMEI and firmware version, view network, edit a file, set a file as operator-logo ... and more coming soon !!!! 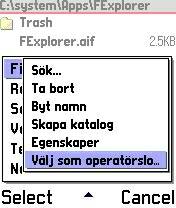 Also available in german, finnish, italian, czech, slovak on request.